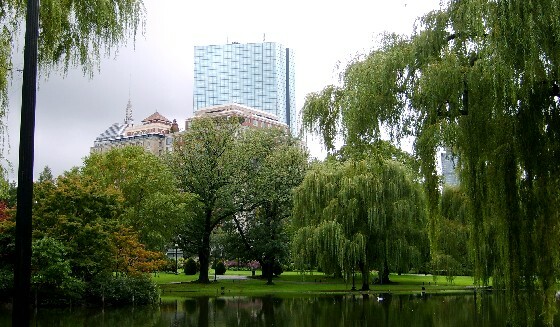 Boston Common is one of the oldest parks in the USA and covers around 50 acres of central Boston. It’s an oasis of calm to escape to and there are many walkways to stroll around. Whilst you’re doing so, look out for features like the Central Burial Ground, Frog Pond and the location of the “Great Elm Tree” which was a symbol of freedom before it was destroyed in 1876. Boston Common is also the start of the Freedom Trail. You can pick up a map here of the locations to visit on the trail. ‘The Common’, as it’s known, links a number of other green spaces which form a central “lung” of open space in the city. 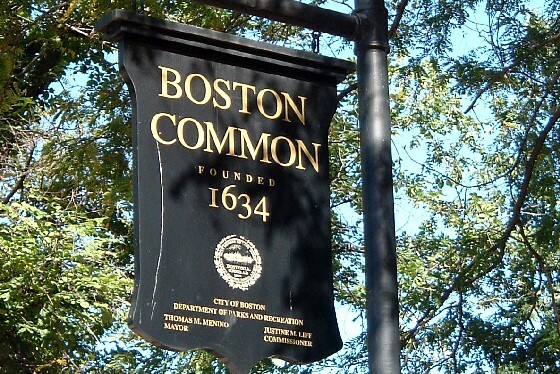 We enjoyed the history of the common, although the more formally laid out “Boston Public Garden” next door (pictured below) is more appealing to the eye. Notable landmarks here include the statue of George Washington on horseback and we really liked the set of bronze statues based on the main characters from the children’s story “Make Way for Ducklings” which is located between the pond and the Charles and Beacon streets entrance. We also enjoyed following the tree lined path that leaves the garden and heads into Back Bay. There’s plenty to see along the way including the memorial to the Boston fire fighters who died tackling a large blaze when a building collapsed. 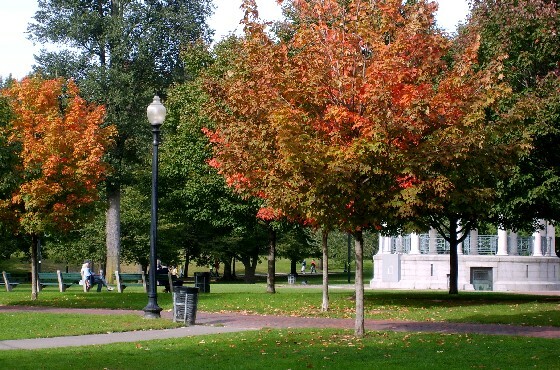 Our advice is to take the central path through Boston Common towards the Public Garden, because you get to see most of the notable features of both by doing this. Although the two parks are split by a road, there is a pedestrian crossing to get you from one side to the other. Once you reach Boston Public Garden you’ll find that it’s dominated by a central lake which is crossed by a beautiful bridge. We really enjoyed spending time in the garden as it is much more formally laid out than Boston Common. It has stunning floral displays in the summer particularly. Boston Common and Boston Public Garden are next to each other in the South West of the centre of Boston near to the Charles River. Beacon Street forms the Northern edge of both, Tremont Street forms the Eastern edge and Boyleston Street the Southern edge. Nearest T stations are Park Street and Boyleston (outbound).